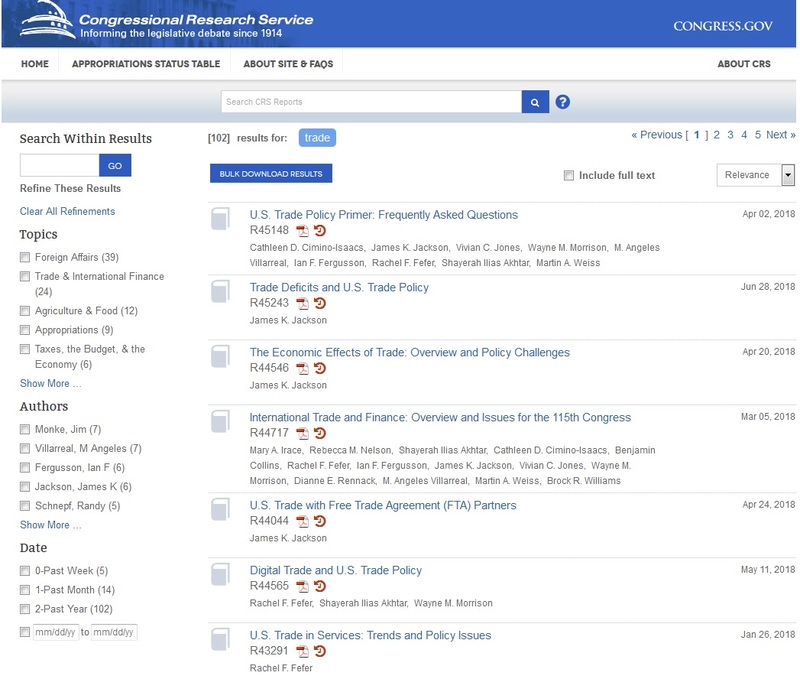 All non-confidential reports of the Congressional Research Service must be made publicly available online through a Government Publishing Office website within 90 to 270 days under the 2018 omnibus appropriations act that was passed by Congress and signed by the President last week. Buried in the 2,232-page fiscal 2018 omnibus spending bill is a much-debated provision to require the Library of Congress to post all the lawmaker-requested reports on a central website. 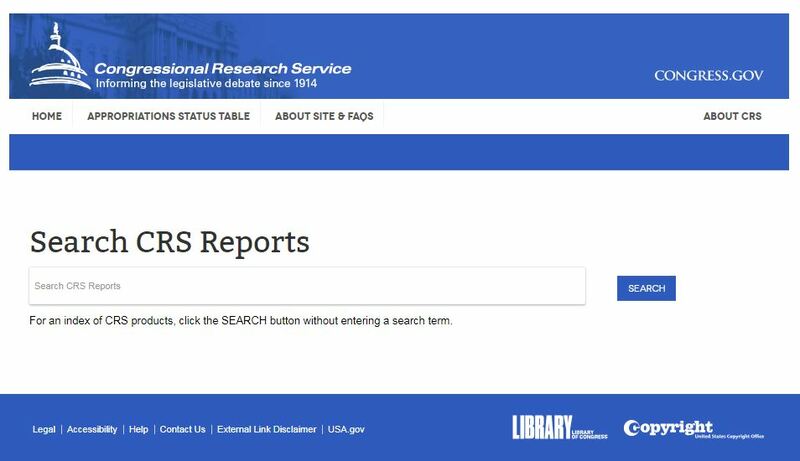 AVAILABILITY OF CRS REPORTS THROUGH LIBRARY OF CONGRESS WEBSITE. (1) WEBSITE.— (A) ESTABLISHMENT AND MAINTENANCE.—The Librarian of Congress, in consultation with the CRS Director, shall establish and maintain a public website containing CRS Reports and an index of all CRS Reports contained on the website, in accordance with this subsection. (B) FORMAT.—On the Website, CRS Reports shall be searchable, sortable, and downloadable, including downloadable in bulk. (C) FREE ACCESS.—Notwithstanding any other provision of law, the Librarian of Congress may not charge a fee for access to the Website. The move is the culmination of more than two decades of efforts to encourage, cajole or coerce Congress into making the reports broadly available to the public. Finally, Congress will make the non-confidential reports available to every American for free. 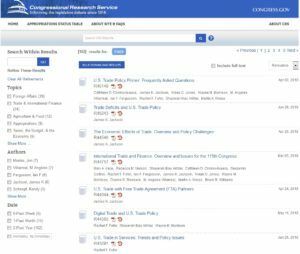 See Long-Proprietary Congressional Research Reports Will Now Be Made Public by Charles S. Clark, March 23, 2018. This entry was posted in CRS Reports, E-Resource, Research on March 29, 2018 by Harold O'Grady.